Roseola is one of the classic illnesses of early childhood. 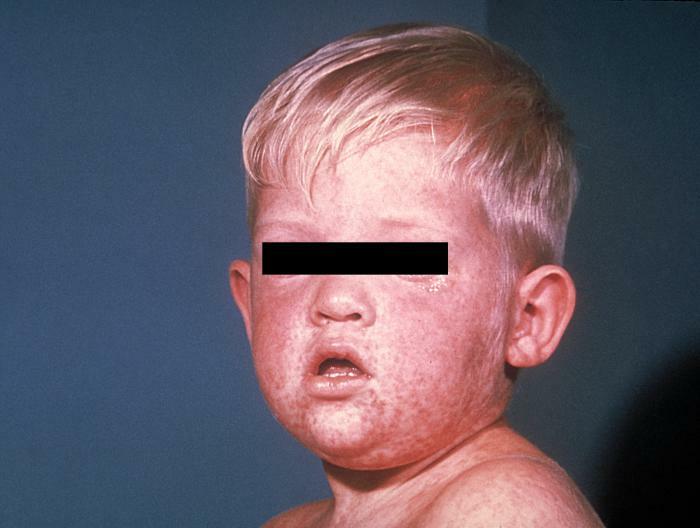 It is confused with the less common German measles and hard measles or rubeola. 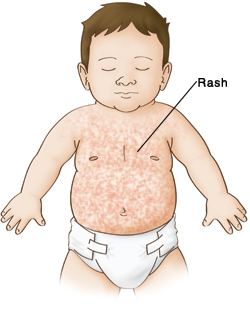 The rash of roseola is proceeded by several days of sustained high fever, up to 105°. Even though there is a high fever, your child will appear well. A rash then appears after the fever disappears. It may be slightly elevated, pink or light red. Mild cold symptoms may also develop. A very small number of children who are susceptible may have a convulsion with the fever. This is not epilepsy and will cause no long lasting effects. This is a contagious illness caused by a virus. The contagious period is just prior to and during the fever. It is treated the same as any febrile illness to provide symptomatic relief. Use aspirin-free fever relievers. Children with prolonged high fevers lasting more than two days should be examined. If fevers persist more than a few days, blood counts or similar laboratory examinations need to be performed. Occasionally some children will need to be hospitalized for observation to rule out serious infectious illnesses.